Enigma 425 pendant lamp by Shoichi Uchiyama looks like a beautiful sculpture. 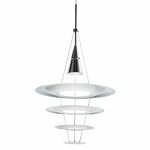 The Enigma 425 pendant lamp consists of four matte acrylic shades, which diffuses the light and creates almost like a three-dimensional reflection. 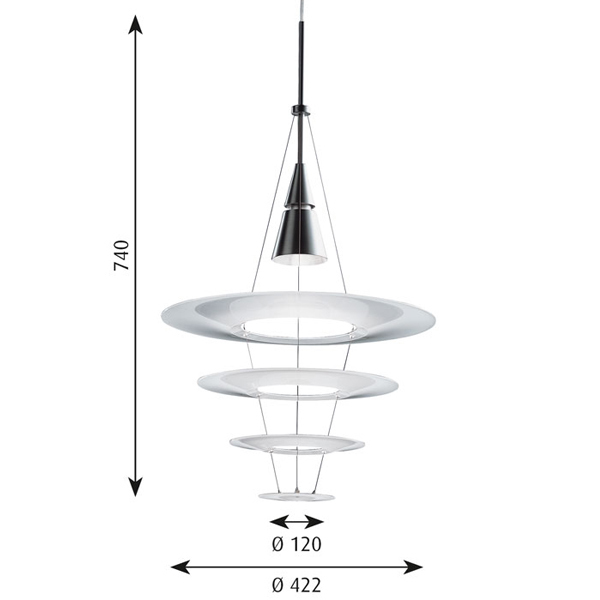 This lightweight and simple pendant lamp is inspired by Japanese grace. Shoichi Uchiyama (b. 1947) is a japanese designer who founded his own company Shoichi Uchiyama Design Office in 1977. 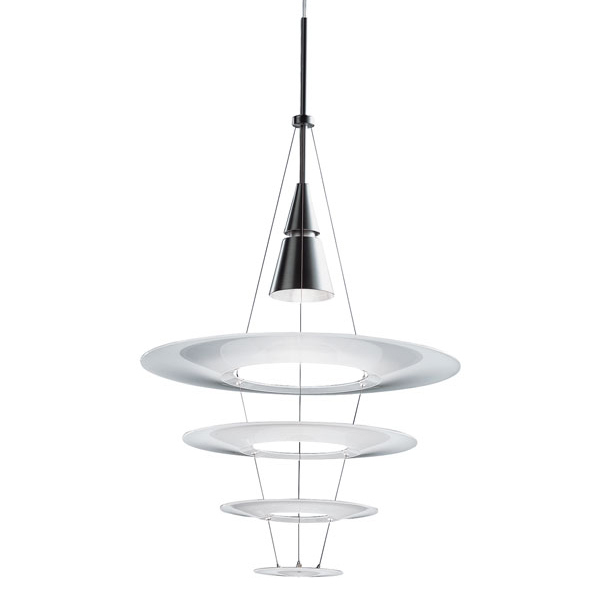 Uchiyama is specialised in light design and his designs are based on japanese aesthetics. He has received several recognitions for his works, for example the respected German iF-award.